Villa Bernardi is situated on a hilltop in Panzano, an area generally acknowledged as the premium wine region of Chianti Classico. 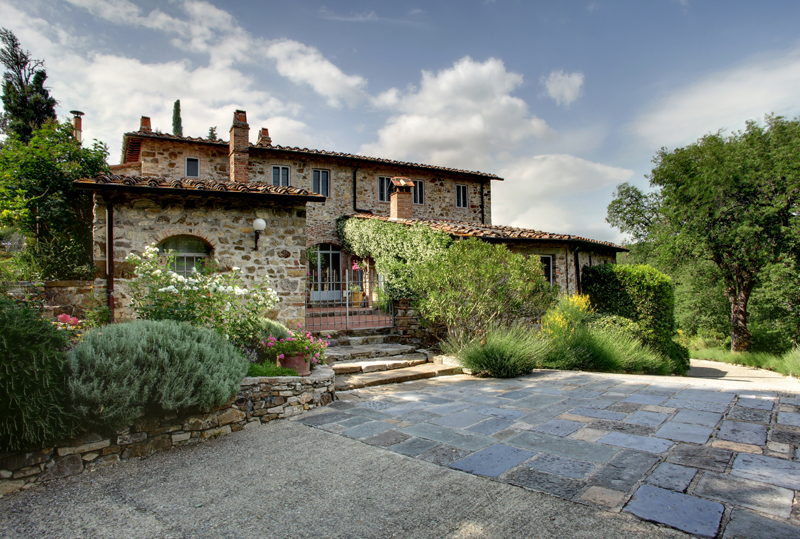 The villa sits on a 53 hectare (130 acres) estate, which is also home to a small vineyard and winery, Monte Bernardi. Panzano is a small hill-top town, with several small shops, winebars and is the home of Italy's world renown butcher, Dario Cecchini. At the weekend there is an open air market selling fruit, vegetables and Italian cheese. Once a month, there is a larger market selling antiques, handicrafts and local artwork. Of course, not forgetting Panzano is in the heart of the Chianti Classico region. Take some time to explore the local restaurants, wine bars and vineyards. There are numerous picturesque villages scattered throughout the area, and some of our favourite restaurants are a short drive away. There is also a golf course (27km/16mi) north on S222 in Ugolino and designer outlets In Leccio Reggello at a 45 minute drive.